I've been a pro cyclist for 6 years, and previously did well at duathlon, now I'm aming for the big one... IronMan! See how I get a long. 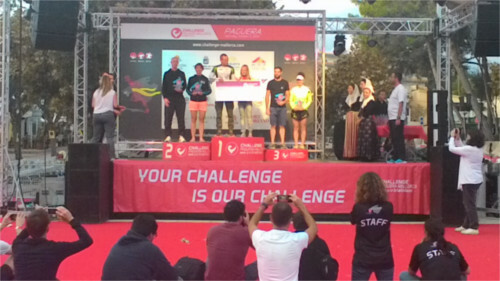 It was exactly a year ago that I did my first big triathlon: Challenge Paguera that was also an ETU European championship in 2014. And it’s basically just over a year and a half since I started triathlon. My progress hasn’t been mind blowing, nothing like when I started in Cycling many moons ago, rather it’s been steady. 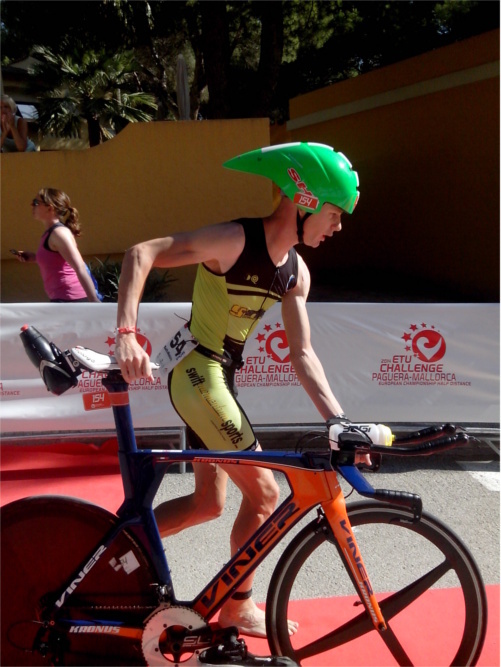 I suppose the main difference is that now doing triathlon I am also working and studying, rather than doing just that. I don’t think I’d change that though, as living just from sport is not easy. This race was many times easier than last year. Being familiar with the place and how things are done helped a lot. I find it strange a lot of triathletes chop and change their race schedule each season, to me it makes more sense to get to know a race. Even a cycling race like the Volta a Portugal that never has the same course, has a familiarity and rhythm to it that makes it, not easier, but certainly easier to tackle year on year. 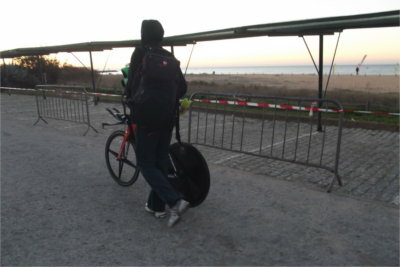 We didn’t stay in Paguera this year rather we stayed in Santa Ponça, about 10’ to the south east of Paguera and literally a 5’ walk through the woods to the transition zone if you knew where to park. We stayed in little studio apartment the first three days and it was fantastic. Nicely furnished, on the first line in front of the sea, about 20 m from the beach. It really helps having this type of space on race day. My Chef made the customary lentil burgers and pasta which I chowed down at 5:30 in the morning, so far, hotels have been thoroughly unaccommodating in this regard. Triathlon top tip: self-catered accommodation is better before a race, you have the privacy to do all your weird pre-race rituals such as eating the A1 jet fuel that are lentil burgers at 05:30. I was nervous for this race and I don’t typically get nervous about races. 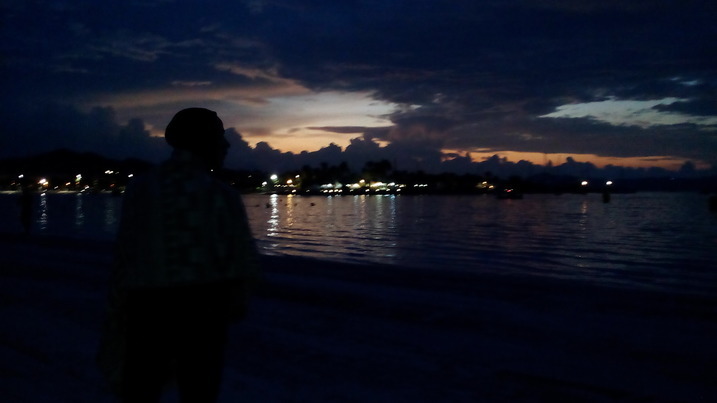 Sometimes I get focused, sometimes irritable, sometimes indifferent, but this time it was different. I think it’s the huge financial outlay involved in these expeditions that gets me, there’s a lot on the line for the sake of getting a puncture and dropping out, or having a crap performance. Although I hadn’t trained more than last year, I went a lot better this year. My run was 16 min quicker, the bike about the same and everything else was a bit slicker. I was battling to be the top age-grouper and it was close, I was 3rd overall non-pro and took a few pro scalps despite being in a different heat. The bike was fine, except the handle bars coming loose a bit and the saddle sliding, so I raced most of the course quite gingerly to avoid splating myself and the monster (bike). The Monster in going into T2. 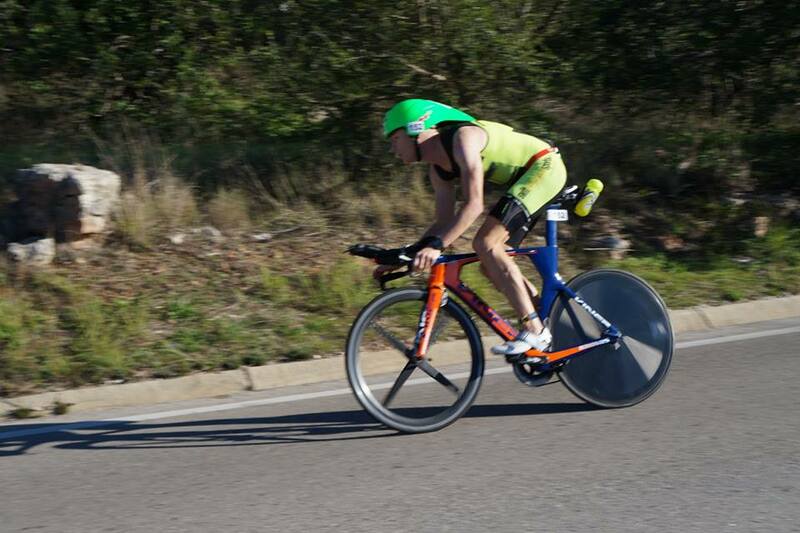 The guy who beat me to “win” the 30-34 age-group got away on the twisty section through Magaluf. The bars came loose because of the paint under the bolts and the saddle, well, obviously their recommended torque isn’t high enough. I am a little bit precious about “Frankenstein’s monster” and scared to break any of the custom pieces befitting it. Triathlon top tip: Yes gear is expensive, but you can’t be too precious about it; that may well prove to be a false economy! On the plus side, the bike had a proper 55 t chainring on it, so that was a huge improvement on the previous race where I had to make do with a 52 t. Triathlon top tip: a relatively large gear can save energy by making it more economic to ride at ‘terminal velocity’ on the downhill sections. I was bothered by someone drafting off me for most of the last lap, I can understand people slipping into the slip stream when it bunches up on a technical section, or even a hill, but some people seem to be adamant in doing it, it’s really weird. My swim was utter crap. I have no idea what happened there… well I do now. 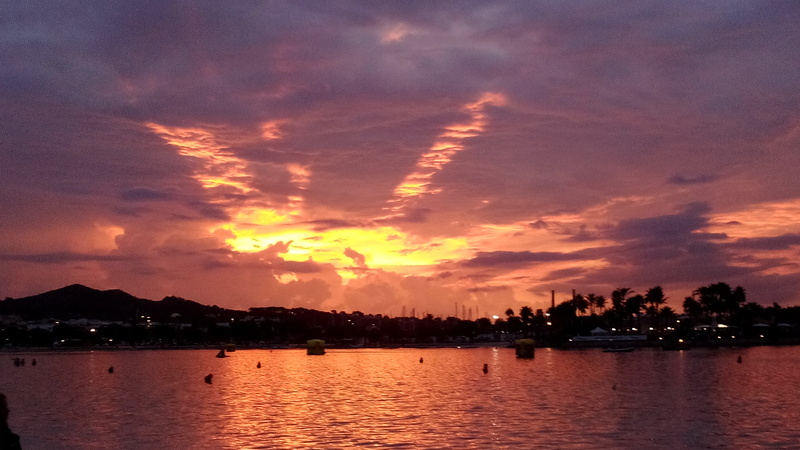 I felt good, excellent even in the water and I have recently been loving the sensations afforded by swimming. But my time was crap, a whole 3 min slower than my best times. What had gone wrong? Well, I went a and did a bit of open water swimming today with Chef walking parallel on the beach and I was swimming pretty well, under 1:30 and without feeling breathless or tired. But actually swimming in a straight line and sighting was super difficult… The goggles have a sheen on them and are built up in such a way it’s very hard to discern colour and shape and they cut off peripheral vision terribly. Triathlon top tip: make sure your goggles provide least colour distortion and minimally obstruct your peripheral vision. In the swim not once did I get a tow on someone’s feet, so that wasn’t good either. When it comes together (if!) I imagine I can do a fairly handy swim, ironically. 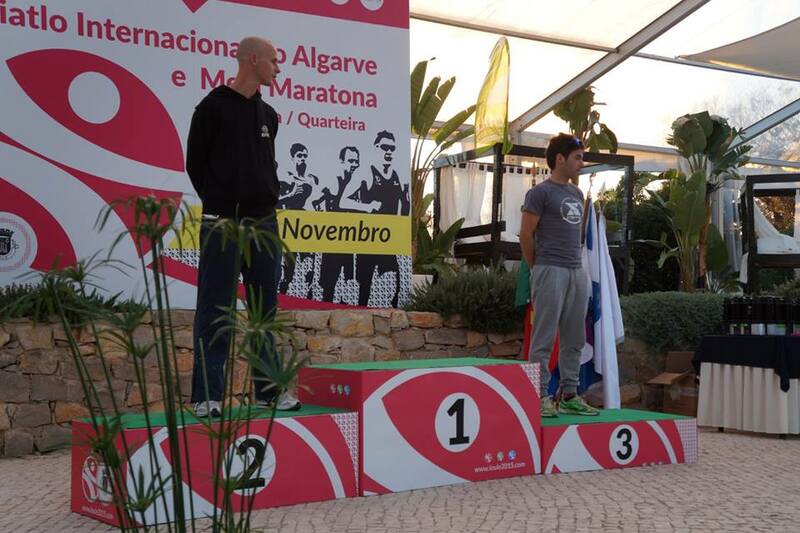 I met the most remarkable character in the rest zone after the race, a guy called Sérgio Marques, a Portuguese triathlete who has come 3rd in the European Long Distance Championships this year, winning Ironman Barcelona a couple of years back and going to the World Championships in Hawaii 5 times. On the last day we went for a drive along the north coast and over the mountains. It was a breath of fresh air to see the less touristy and more dramatic side of the Island. It would be great for a bike race… or a triathlon. 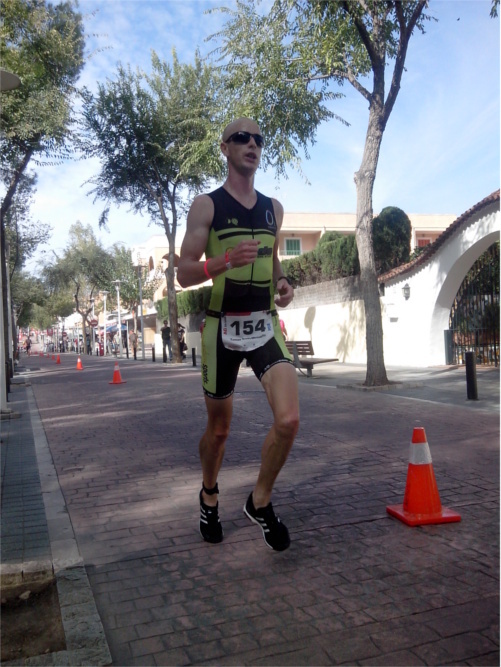 17th overall, 3rd Age-Grouper, 2nd 30-34 age-grouper. 4:23:11 overall time, 19:45 behind the winner Filip Ospaly, a triathlete for 23 years, 3 time olympian and with 7 70.3 distance wins to his name. And 29 min quicker than last year. 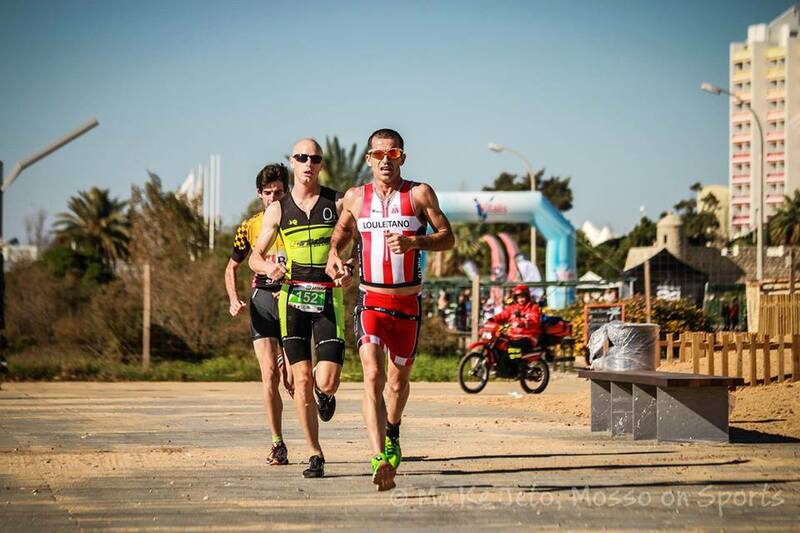 The next objective is the Vilamoura triathlon on the 28th of November. Performance wise the run was about 5′ slower at 4:04 per km than the very fastest at 3:47 per km, although I started out that that pace. Bike wise there is still a fair bit of speed to find, that’s just a case of training it. I’m doing the right power output and all that, it just need a little tuning. Swimming… well, I’ll just practice it and see. According to the British Triathlon website, I’ve finally cracked the mark (by the skin of my teeth; 7.79%) to get a PRO licence “IDEALLY be an Age-Group athlete who has come within 8% of the winner’s time in a recognised long distance triathlon event (such as Ironman or Challenge event) in the last 18 months.” I’ve met the standard, now lets see what they say. That was on pretty bad training (no swimming, no specific bike training in the summer), so I’m looking forward to having a proper crack at it and actually be professional about it, rather than fit training in here and there as before. I suppose that’s it, I can now I’ve done it, I’ve met my original goal in starting triathlon. Maybe I should rename this blog?